With over 3 million GSM subscribers in Mumbai circle, City’s oldest GSM Mobile Service Operator Loop Mobile (formerly BPL Mobile) today announced the launch of Web Based ‘Online Chat – Customer Care Service’ for its postpaid and prepaid subscribers. Loop Mobile’s Online Chat Service can be used to get queries, Requests or Complaints addressed at your convenience with anywhere-anytime access. Activate or Deactivate Value Added Services like Missed Call Alerts, CLIP, Activate or Deactivate Roaming facility etc or even share feedback on the level of service offered. 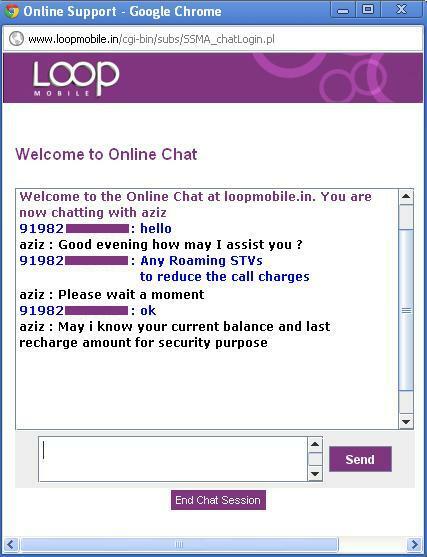 This web based Online Chat feature from Loop Mobile enables existing subscribers to submit their Mobile Number and query for Tariff, Service request, by giving their details. After this, Users get a chat window and a customer service executive becomes available on line to resolve the query or issue in real time. 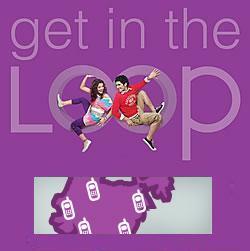 Loop Mobile Live Chat service provides a refreshingly different telecom experience to its GSM customers. The new service designed to help customers wherein its customer care executive will chat with website visitors in real time and have their questions answered instantly. The Online Chat service will be available 9 AM to 11 PM. How Operator Can Make Fair Enough Billing For 3G Subscribers? I went to abroad for like 5 months and when I came back to India my loop mobile SIM wasn’t working. I think it’s been deactivated as it was kept idle for months. I want y’all to activate my # 9773717128 as soon as possible. Thank you!